On Sunday, Chris and Cheri Russell were on their way to the hospital when their baby boy just could not wait any longer. 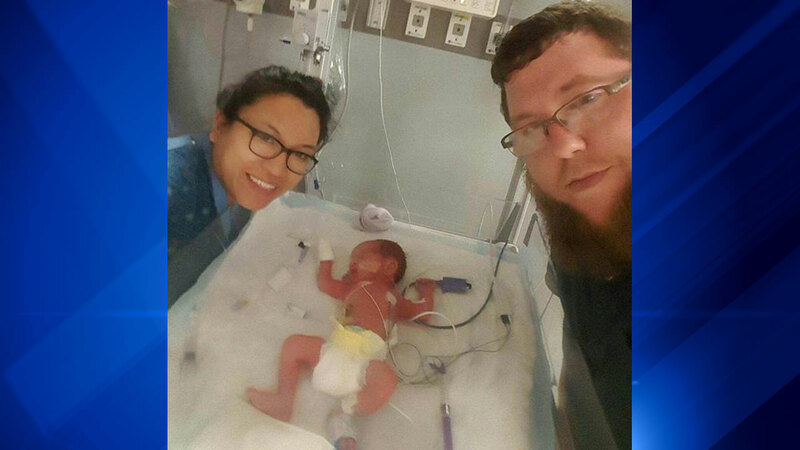 On the side of northbound Interstate 55 in southwest suburban Bolingbrook, Cheri Russell delivered her baby with the help of her husband. The baby - who was not due until June 12 - was named Charles Xavier Russell, with Charlie as a nickname. Late Sunday, the family was at Adventist Bolingbrook Hospital where the baby was in the NICU because he was born prematurely. Otherwise, the baby is doing well. This is the couple's third child. Chris Russell captured SnapChat video after his wife gave birth on I-55 in Bolingbrook on May 14, 2017.